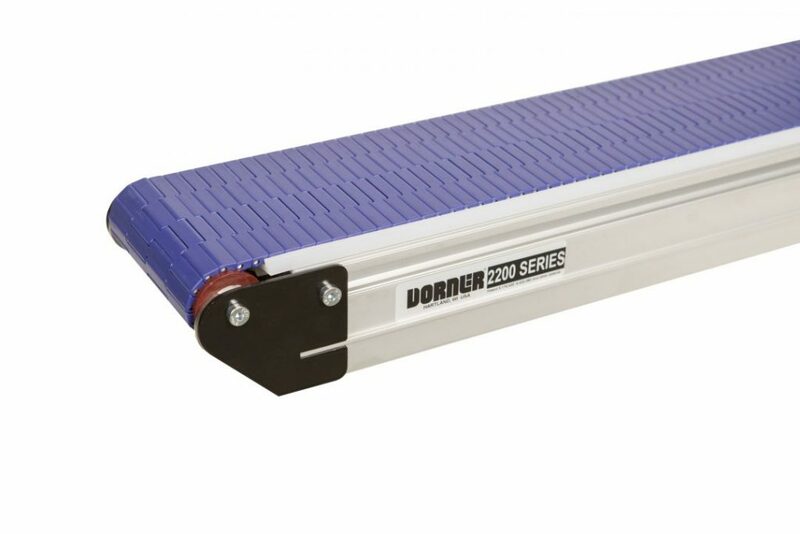 Ideal for applications in the metalworking, packaging, assembling and general manufacturing industries. 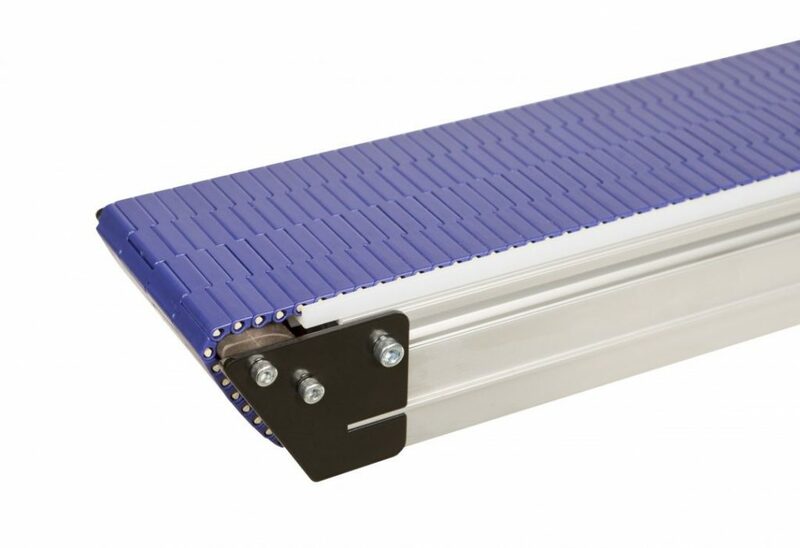 The sleek profile allows the conveyor to fit in tight spaces and be positioned under machinery. 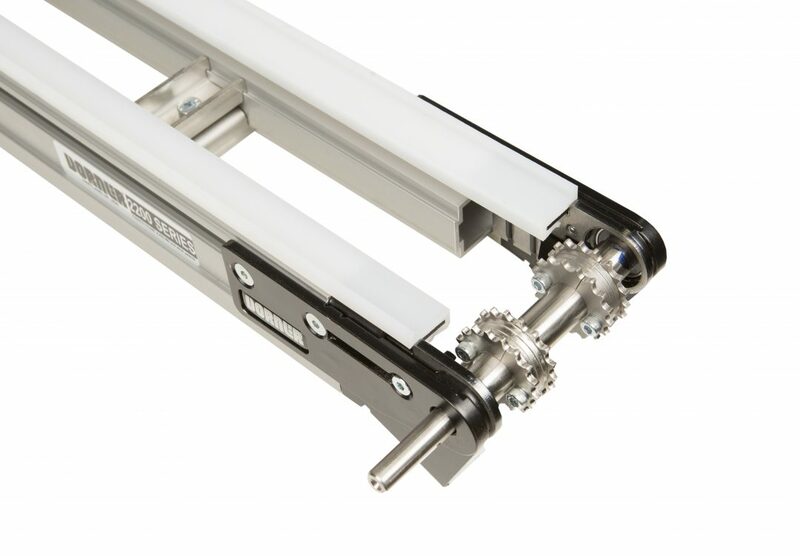 The optional .31" nose bar transfer allows for tight transfers across conveyors. 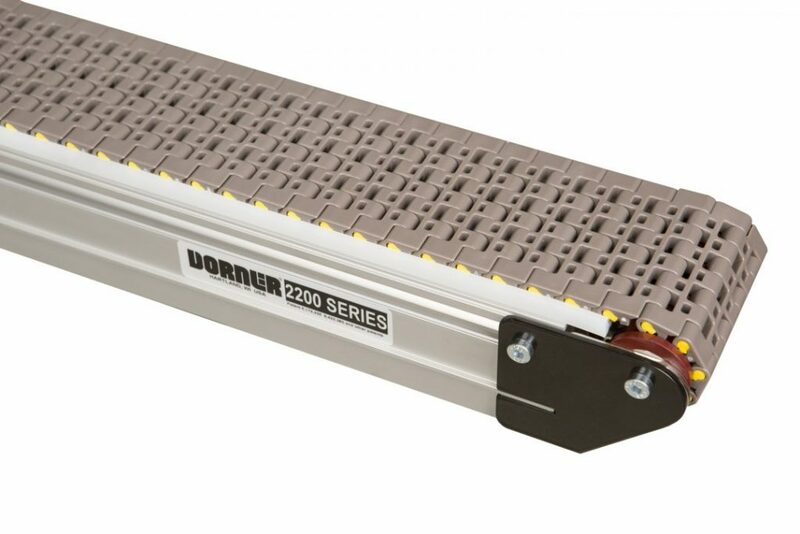 The 2200 Series Modular Belt features expanded guiding options, additional widths and new belt options. 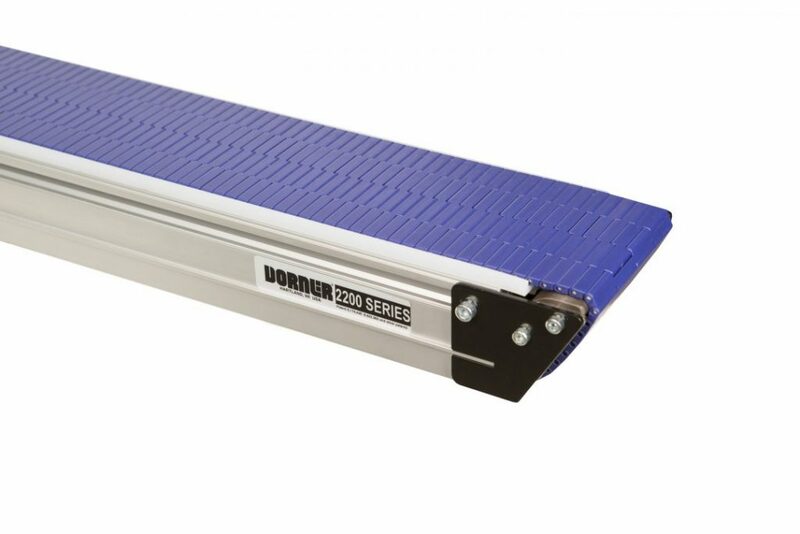 The ladder-style, open frame allows for better airflow through the frame for cooling and drainage. 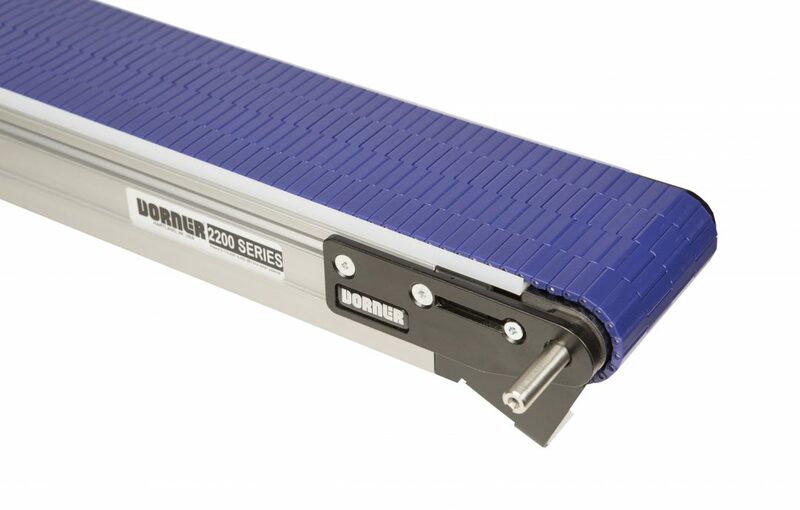 The metalworking belt is available in Closed Mesh, Open Mesh and Cleated options. 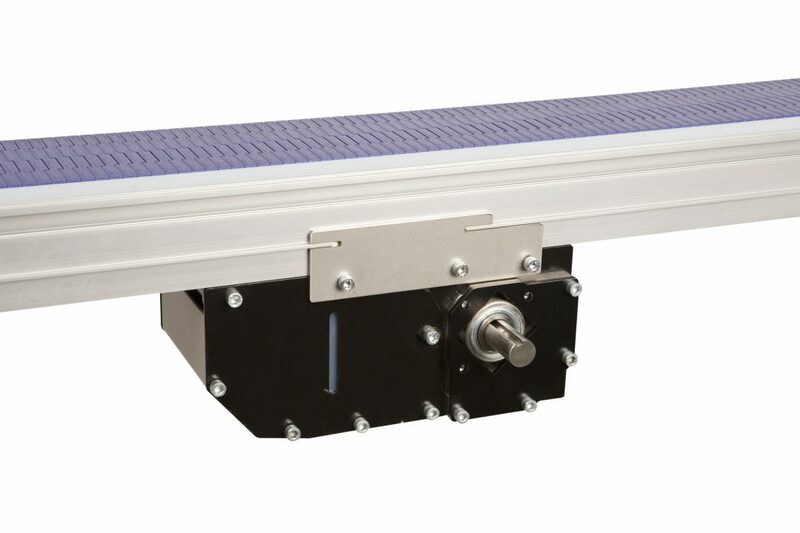 The center drive frees up both ends of the conveyor operation and machine interface. 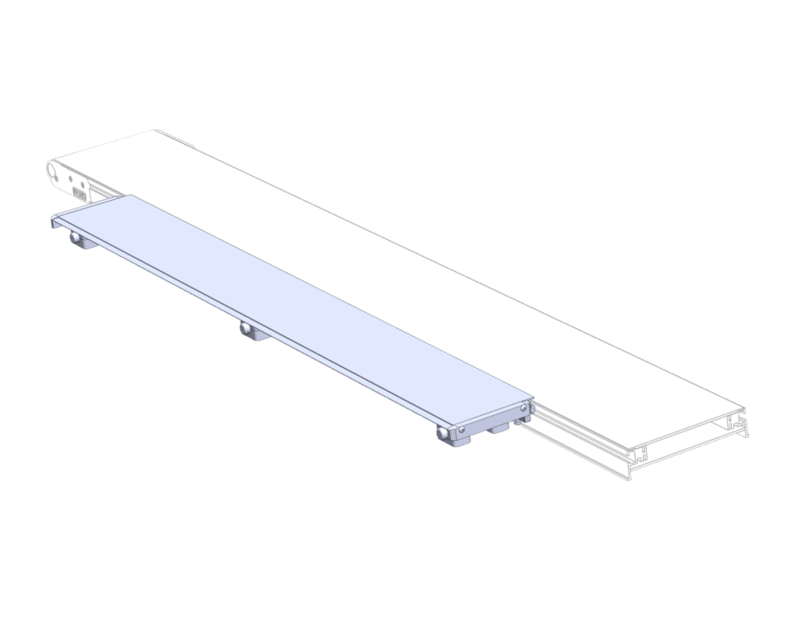 Ladder-style, open frame construction for water and chemical drainage and air cooling. 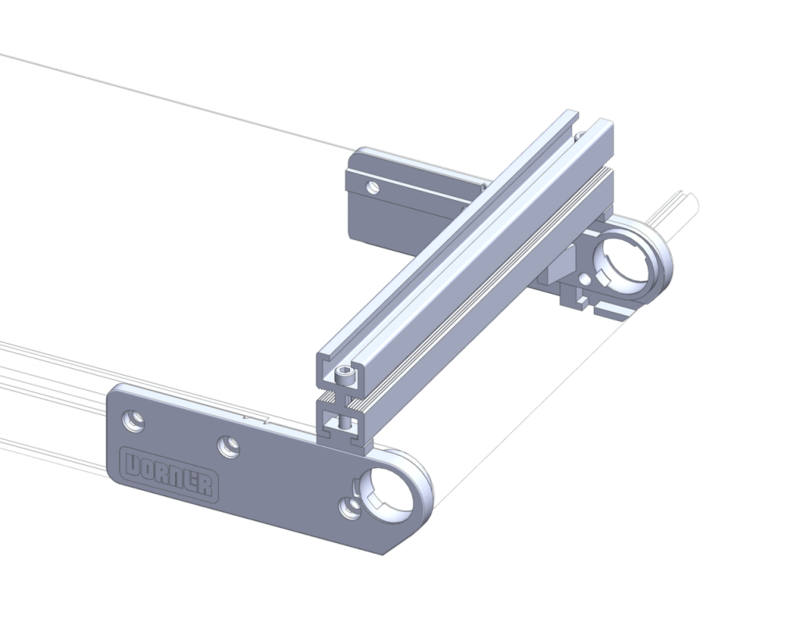 All belts fully contained in UHMW guiding for maintenance free tracking. 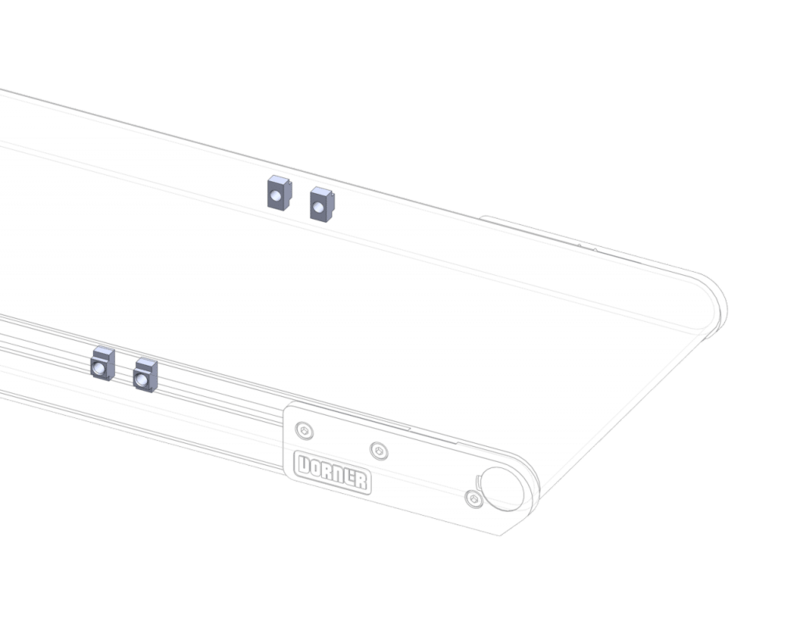 Universal T-slot for ease and flexibility of adding accessories using industry available hardware. 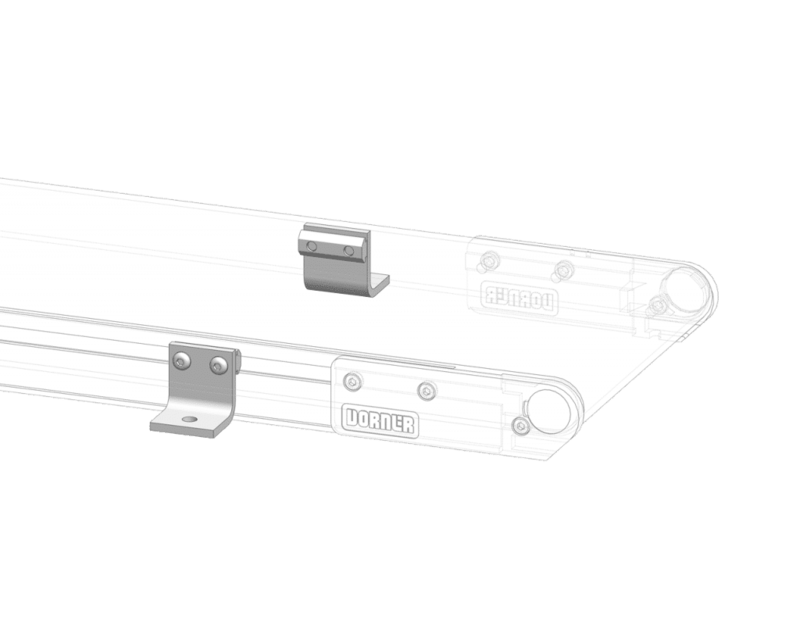 Additional frame widths and expanded guiding and chain options. 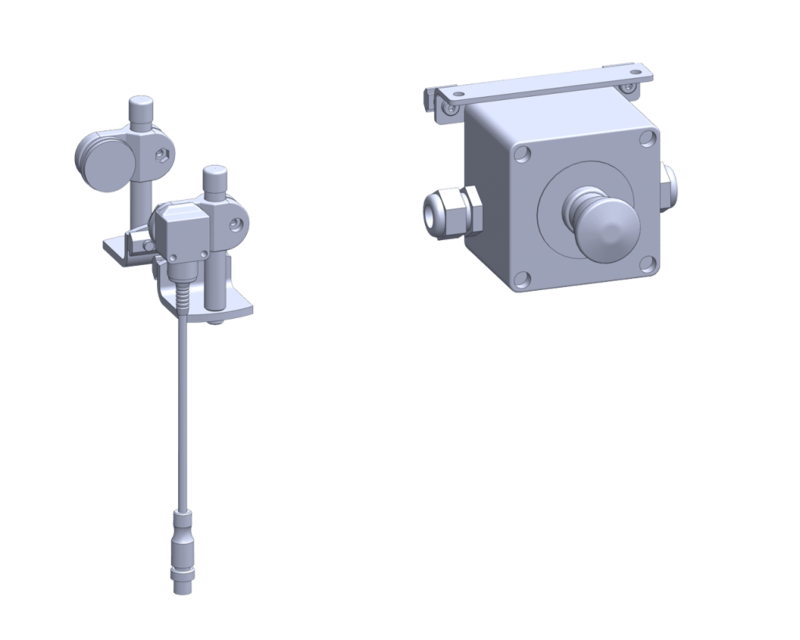 Consolidated motor & control offerings.